While local governments get credit for filling potholes, that hardly covers the countless other services they provide in the interest of public safety and health. American City & County’s Crown Communities Awards recognize the extra steps local governments take that have lasting effects on residents, businesses and the environment. 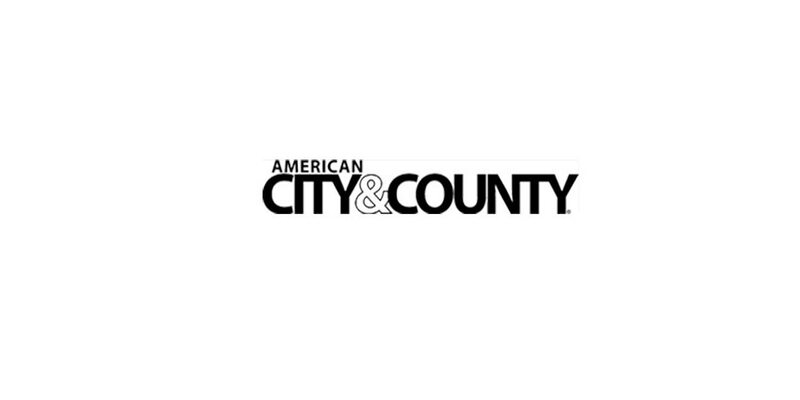 This year, American City & County editors asked subscribers to separately nominate projects completed by cities and counties. The five winners of the Crown Communities Awards for city projects follow in this issue and include Hollywood, Fla.; Lenexa, Kan.; LeSueur, Minn.; Mountain View, Calif.; and Osceola, Wis. The winners of the county projects were published in the July issue, and, like the city winners, their projects demonstrated creative methods for solving enduring problems or offering new services to residents. All recipients will be recognized at a ceremony at the National League of Cities convention this month. The entry forms for both categories of 2007 Crown Communities will be available on the American City & County Web site early next year. Winners of the county awards will be announced in the July issue, and the city winners will be profiled in the December issue. When Hollywood, Fla.’s Department of Housing & Community Redevelopment staff was searching for a way to engage volunteers to help revitalize the city three years ago, it uncovered an untapped source: high schoolers. The department’s director Neal Herst says the city targeted children for its Summer Youth Program who were too old for summer camp but too young to employ. Some were unable to easily find a summer job because of transportation problems. Last summer, 40 youngsters in grades nine through 12 repaired and renovated homes of elderly residents, single parents and disabled people. Under the supervision of city firefighters, the young men and women primed and painted building exteriors, fixed screen doors, mended fences, sealed blacktop driveways, operated pressure-cleaning tools, mowed lawns and weeded flowerbeds — four hours a day for 10 weekdays. “The kids weren’t brought in from other neighborhoods to work on people’s property,” Herst says. “They were working on homes in their own neighborhoods.” They also earned hours of community service for high school credit, gained practical skills and learned the importance of connecting with the community. But, home repairs were only one part of the two-month program. Participants spent several days visiting city departments, meeting city officials and learning about the inner workings of government. They also received CPR training and certification, visited a Coast Guard station and a wastewater treatment facility, prepared food and hygiene kits for the homeless and visited Universal Studios Island of Adventure, which included career workshops. As a result of the program, several at-risk students improved their school attendance and grades, while others found part-time jobs through references from program coordinators. In addition, many forged close friendships with fellow program participants outside of their own ethnic and religious groups. Agencies/companies involved: Malcolm Pirnie, Hazen & Sawyer, U.S. Coast Guard, Jubilee Center, Broward Outreach Center, Police Athletic League, Boys & Girls Club, Junior Chamber, B&L Subs, DCJ Pressure Cleaning, DiSalvo’s Restaurant, East Coast Builders & Developers, Flower’s Bakery, IBC, LP & CB Trucking, Natural Art Nursery, North Central Civic Association. Eliminating flooding was the primary reason for constructing Lake Lenexa, a retention facility located within 240 acres of parkland in Lenexa, Kan. But, city leaders also recognized the lake as an opportunity to add a new recreational facility and a program to improve water quality. With the revenue from a one-eighth-cent sales tax increase, which passed in 2000 and was renewed in 2004 to help fund the proposed Rain to Recreation project, the community built a state-of-the-art spillway and dam to create a 35-acre lake designed for fishing, non-motorized boating and nature education. After the lake finishes filling next summer, fish habitats will be established, and the lake will be stocked with bluegill, bass, crappie and other native fish species. In addition, the city will upgrade its expansive Black Hoof Park to include three miles of walking trails, 10-foot-wide boardwalks, a boat ramp and dock, picnic shelters, restrooms, an open playing field and an 18-hole golf course. Still, the $23 million project’s greater contribution may be helping to maintain the area’s water quality, says Mike Beezhold, Lenexa’s watershed manager. Part of the funds will be used to educate residents on how they can help keep the water table free of toxic chemicals, fertilizers and pesticides. As part of the Mill Creek watershed, the water retained in the lake will eventually make its way into the Kansas River, where intakes for the Johnson County water supply are located. Another benefit of the project is the striking design of the dam and spillway completed last summer, which adds a distinctive-looking landmark to the community. “It’s like Lenexa’s St. Louis’ Gateway Arch or Seattle’s Space Needle,” Beezhold says. The dam’s 8,000 cubic yards of steel-reinforced concrete has been fashioned into dramatic sloping curves and other shapes suggesting nature’s role in water purification, according to the project’s designers. A pointed spout, which spews a fine stream of water, represents rain falling from the sky. Tooth-like columns represent nature’s filtration process. Curves and circular patterns represent water’s meandering progress across land through streams and rivers, and special pools or basins represent the ocean, where water evaporates to start the cycle all over again. Rails keep visitors away from the water, and signs will be posted near the lake to prevent swimming. Agencies/companies involved: Lenexa, Johnson County, Black & Veatch, Patti Banks Associates, Tetra Tech, Intuition & Logic, Max Rieke & Brothers, Al Muelberger Concrete, Arch-E Texture. LeSueur, Minn., is the birthplace of the Minnesota Canning Co., home to the vegetable icon the Jolly Green Giant. It is no wonder, then, that LeSueur — population 4,220 — is a small town with a knack for implementing big ideas. The community center also had problems regulating the humidity in its swimming pool area and ice rink. Controlling pool temperature was problematic, and poor ventilation plagued the center’s weight room, basketball court and racquetball courts. City Hall was inaccessible to handicapped individuals, and inefficient heaters there wasted energy. The public works building and park maintenance facility also were operating inefficient heating systems. Finally, all city facilities needed fire and safety upgrades. Instead of addressing one problem at a time and approving expenditures individually, the city decided to “think big and outside the box,” Almich says. In this case, that meant the city would take advantage of a state statute that enables local governments to sign performance contracts for projects that save energy. “What this means is that a community can select a contractor with expertise in generating energy savings instead of going only for the lowest bidder,” Almich says. The cost of the comprehensive project to upgrade heating, cooling, controls, lighting and ventilation for LeSueur’s facilities was $2.7 million, but with a projected $240,000 in energy and operational savings each year, Almich says the improvements should cover those costs within 15 years. The only additional funding source was a $25,000 one-time rebate from a local utility. But, unlike other government contracts that would leave a community little recourse for failed promises of energy savings, performance contracting makes the contractor liable. “If they do not meet the requirements of energy cost savings, then they are obligated to make up the difference,” Almich says. In addition to correcting the climate control problems and upgrading lighting efficiency, the project also remodeled certain common areas. The result was improved safety, cost savings and healthier, more attractive work environments for city employees as well as improved recreational facilities for LeSueur residents, Almich says. Agencies/companies involved: LeSueur Building Inspections, Minnesota Department of Health, State Fire Inspector, Johnson Controls. About 90 percent of Mountain View, Calif.’s water travels 250 miles over rugged terrain, through a system of aging pipes from its source, the Hetch-Hetchy Water System, which also serves San Francisco. “[This is not a] seismically robust system, which is why we decided we needed an emergency reservoir,” says Cathy Lazarus, Mountain View’s public works director. With emergency rationing, a reservoir that holds one day’s water supply can last up to three days, Lazarus says. But, to sustain the Northern California community of 72,000 following a major disaster, the city needed a larger reservoir. City leaders determined they would need an 8-million-gallon capacity reservoir with a 1-million-gallon groundwater well. Acquiring the necessary five acres of land would have cost approximately $20 million, consuming essential funds for the project. At the same time, the Mountain View-Whisman School district had recently passed a bond measure to upgrade school facilities, including a dilapidated playing field at Graham Middle. Combining the needs of the Public Works Department and the school, plans were developed to build a reservoir beneath a new sports complex — a $19.6 million joint-use project. The plan included a 47-foot-tall water storage tank placed beneath an all-weather regulation track, basketball and volleyball courts and two soccer fields, one of which doubles as a football field. The project’s construction spanned more than two years, but the city minimized disruption of school activities by scheduling the noisiest work for school break periods, and regular construction around the beginning and ending of the school day. The city also stringently controlled construction equipment traffic and erected a 10-foot-high noise reduction fence. It also promised background checks of construction workers and offered to clean construction dust that covered nearby swimming pools and homes. Agencies/companies involved: Mountain View, the Mountain View Whisman School District, IEC, O.C. Jones, Anderson Pacific Engineering and Construction, Maggiora Brothers Drilling, Interstate Grading & Paving. Being a quaint village listed on the National Historic Downtown Register may be prestigious, but as the local government officials in Osceola, Wis., discovered, it also may mean trouble is brewing below the surface. Established in 1844, Osceola’s treasures include an old millpond and other historical landmarks, yet more recently the town had to address problems throughout its century-old infrastructure. In 2002, heavy rains broke an earthen dam upstream from the village, flooding a major portion of Osceola’s downtown and nearby State Highway 35. The flooding also filled the historic millpond with silt. The year before, the village had begun planning for a much-needed wastewater treatment plant, but the flooding — which damaged sections of Highway 35 and threatened a federally endangered species of mussel — revealed a need for additional stormwater control and wastewater treatment upgrades. The town responded by creating a plan to fortify its historic identity while paving the way for its future. Emergency repairs were made, but before making permanent changes, the town first developed a comprehensive $9.25 million project that included building a new wastewater treatment plant, re-establishing the historic dam and millpond, replacing elements of the water and sewer system, reconstructing streets and storm sewers, landscaping and adding enhancements to the downtown area, improving parking and adding new lighting compatible with the town’s historic character. The new wastewater treatment plant was built to accommodate increased commercial, industrial and residential growth with a flow capacity of 0.9 million gallons per day, says Neil Soltis, village administrator and clerk. The town routed a new sewer line beneath the old millpond and lowered the inlet to the wastewater treatment plant, eliminating the need for a lift station and force main. The millpond, which had filled with silt, was dredged and fitted with a stone-covered dam and new box culvert for better flow control. The Osceola Historical Society contributed ideas for the aesthetics of the dam and millpond reconstruction as well as downtown lighting, benches, trash receptacles and landscaping. Local businesses and residents were consulted and updated on the project’s progress through e-mails from Soltis and through a weekly construction feature published in the local paper. The project spanned two years, and ended just in time for the annual Village Fair and Wings to Wheels Labor Day celebration. “Most people felt this was a huge investment in the future,” Soltis says. Agencies/companies involved: Osceola, Polk County, Wisconsin Department of Natural Resources, Wisconsin Department of Transportation, U.S. Parks Service, U.S. Army Corps of Engineers, Short Elliott Hendrickson, A-1 Excavating, Staab Construction, Edward Kraemer & Sons, Canadian National Railroad, Push.